Mortgage News Rants Raves - MAE Capital Mortgage Inc. This subject is a little uncomfortable for most people. When the Bank tells you that you don’t qualify for the loan you have applied for it can be very frustrating. If the Bank tells you No not only do you feel defeated you are also left feeling embarrassed. So, what do you do; do you just stop trying, or quit? Or do you move on to alternate plans or search for different options from different sources? We are going to cover the latter and what you can do to be proactive in obtaining financing for a home or an Investment property. First, we need to determine why you were declined by the bank. Was it due to bad credit or credit that didn’t meet this lender’s standards? Was it due to the fact you did not have enough money to put down? Was it because you could not show enough income, on paper, to qualify? Or a combination of all of these? These are common issues when trying to qualify for a loan, but they can be overcome in most instances. In order to fix the problem, we have to first identify it and that is usually done by analyzing your financial paperwork such as your credit report, pay-stubs, bank statements, and Tax Returns to determine where the problem lies. Then we put together a plan to fix the problems. Let’s start with the Credit and if you were declined due to poor credit. 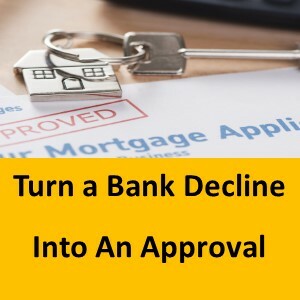 If you have applied for a home loan and the lender has declined you for poor credit we must look at what that lender’s credit score requirement is. If the lender will not approve loans for people with credit scores less than 640 or 620, 600 or lower then we have to see exactly what you credit score is and that lender should be able to provide you with the credit report that they ordered. The reason this is important is that a lender’s credit report is different than the free stuff you can get online like Credit Karma or a service like this, not to me3ntion if too many people pull your credit it could hurt it even further. A lender’s credit report takes into consideration the 3 major credit reporting bureaus and merges the data into one report that has all 3 credit scores. A lender will look at your middle score or if you are married, they will look at the low-mid score of the two people. It is important to know that there are many ways to view a credit report and how to present it to an underwriter, who will make the decision on your loan. If you are the bread winner in the family and your spouse has the poor score that is dragging you down, you might try applying as sole and separate and adding your spouse to the title after the loan closes. Or you could look to the reasons for the bad credit and see how hard it would be to fix it and how long it would take to fix it and if the transaction you are in today could be stretched out long enough to get it fixed. If your scores are too low for the lender you are with there may be other lenders out there that will take the lower scores. At MAE Capital Mortgage we are a Broker so we have many lender’s we deal with, and we know what lenders will take the lower credit scores. We also show you how to fix your credit and tell you how long it will take. One option might be an FHA loan as many lenders we deal with will go down to a 580 or even as low as a 550 credit score. If you have a large down payment and poor credit, we have sources that can fund that with a little higher interest Rates. There are ways to help and we can surely show you the way. If your lender has declined you for not enough money to buy a home, there are ways to overcome this as well. We would have to look at the home or property you are trying to purchase to determine what type of financing would fit the Real Estate you are trying to buy. If you are trying to buy a single-family home and you are going to occupy the property as your primary residence, we again might look to an FHA loan as you can get into a home with as little as 3.5% down. With an FHA loan you could also use a gift from a family member, or employer for that 3.5%. This option helps our clients in many situations that they didn’t believe they had enough money to buy a home. If you are looking to buy an investment property and you don’t have enough money for the down payment there are option for this as well. You could negotiate with the seller to carry a second mortgage and you could buy an investment with as little money as $0 down. This would be coupled with a non-traditional loan or a Private/Hard money loan, but it can be done. There are also down payment assistance programs that come in an out of the market that you may be able to qualify for as well for a single family owner occupied home. So, don’t always looks to the lack of money as the deterrent to purchasing a property. 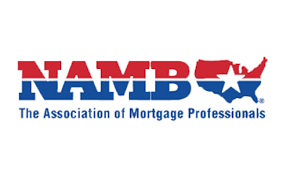 Another common problem when trying to qualify for a loan is the lack of provable income. A lender may have declined you for a loan due to the fact that your “ratios” are too high. This is a lender’s way of telling you that you don’ make enough money to qualify for the loan products they offer. A ratio is the mortgage payment with taxes and insurance and your monthly bills added together then divided by your income that you show on your tax returns, pay-stubs, bank statements or a combination of all. Most traditional financing will require you provide Pay-stubs and your Federal Tax Returns to determine your income. This doesn’t always work for people as income can be subjective especially if you are self-employed. People try hard not to owe the Government taxes at the end of the year and for folks that are self-employed can, and do, show more deductions for the expenses of running a company or their personal business’. This is well known in the industry, but many lenders don’t have any other options for those folks that write off too much on their Tax Returns. At MAE Capital we have several options for those that can’t qualify for a traditional loan with Tax Returns. The most popular is the Bank Statement Loan that uses the deposits made by the borrower each month to determine what they actually make. By averaging the deposits over the last 2 years we can see if a borrower is making enough money to actually qualify. Another type of loan that will not require Tax Returns is the W2 only loan. This loan will use your pay-stubs and your W2s but will not use your Federal Tax Returns. The W2 only loan will help those that make a W2 wage but may write off too much on their Taxes to qualify for what they want. 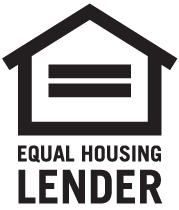 At MAE Capital Mortgage we offer both of these loans from a variety of lenders across the country. If you are an Investor and the Banks have turned you down or they just take too long, we have great options for you. Our sources of Private Money Loans or Hard Money Loans are second to none. Private money loans allow borrowers with 20% or more down to qualify without providing proof of income. Private Money Loans for Investors will also allow for poor credit. If you are an investor and the Banks have said no look no further, we can help. Learn more on our Private Money page. You may have a combination of the above issues and there are ways to deal with your problems. If you simply can’t show anything and have bad credit and no money, then it may not be the time for you to purchase. This is not the end; however, you may simply need a plan to work towards. We work with folks every day to plan for their future. Getting into a home or buying a piece of property takes planning and guidance and that is our function. The American dream should not be closed to those that do things a little different or don’t work inside the “the box”. We are here to work you through the maze of financial options. At MAE Capital Real Estate and Loan we have the ability to work with all types of borrowers and home buyers and Investor’s. Call us today to get qualified 916-672-6130. Rising Interest Rates WHY? and What Can I do? Realtors did you know about our marketing program and it is free! What is Going on With Interest Rates? Why Invest in Real Estate During a Hot Stock Market? What is a "Seller's Market"? Why Use a Mortgage Broker in Today's World? Why is it so Hard to get a Loan Done? California Real Estate Trends "Time to Buy"
Real Estate Seminars SCAM ALERT! FHA or Conventional Loan ? July Will Interest Rates Go Down? Will Interest Rates Go Down? Fiscal Cliff, what is it? Should you refinance with your current Bank? What is new in lending? Are Interest Rates on the Rise??? Government Promises’ to Help underwater Home Owners Where is it????? Frustrated when trying to get a home loan? Budgeting 101 to own a home or just life. Do you need an appriasal to Refinance your home? No Loan Origiation Fee What does it mean? MAE Capital Re-Defines mortgage delivery in the Greater Sacramento area! Who is a Giants fan?